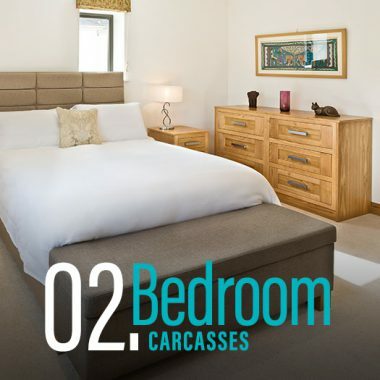 If you've been looking for wardrobe carcass manufacturers and high quality kitchen and bedroom carcasses, we have the skills and precision equipment to meet the needs of your most discerning customers. 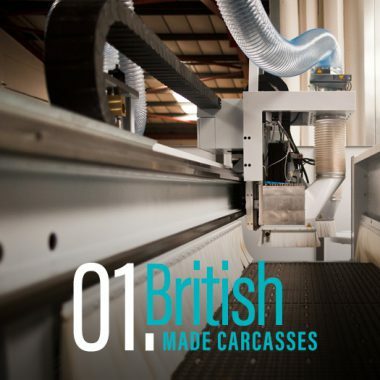 We manufacture our own carcass units here in the UK. They are made to measure for the trade with incredible attention to detail, which is why we're happy to guarantee their quality. With more than 20 years' industry experience, your next projects are in safe hands with Basically Trade. Why buy from Basically Trade? 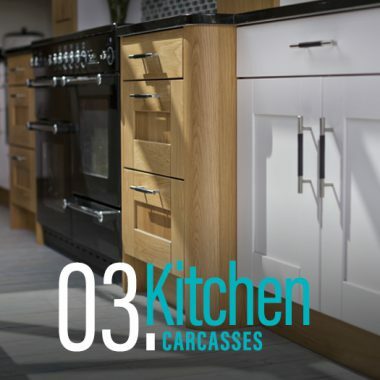 We offer a host of accessories for your project, from stunning handles to soft-close doors and drawers. Blum fittings are used as standard on our kitchen and bedroom carcasses, and come with a lifetime guarantee.